Visiting a church for the first time, as with any new place, often makes people uneasy. Many questions arise like: How should I dress? Where should I sit? What should I expect? Will I be welcomed? The list of questions can even grows longer when someone is a newcomer to the parish. 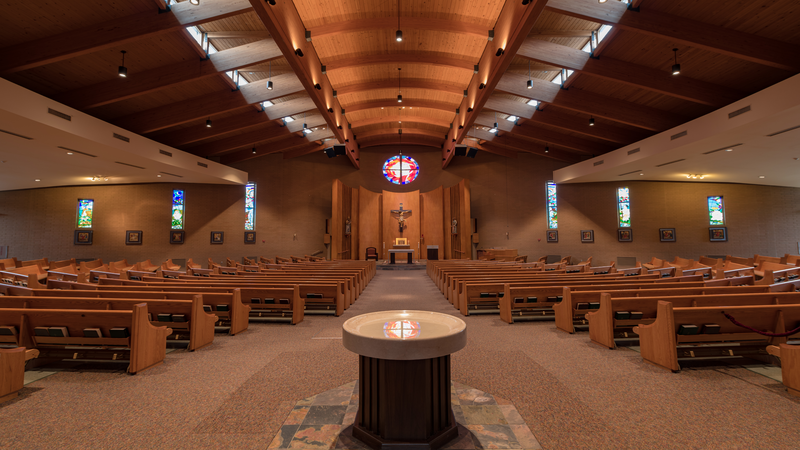 Our Lady of Grace tries to create a welcoming environment beginning prior to your arrival by answering many of the common questions that newcomers and visitors have in on our “Frequently Asked” page. Please browse our website to learn who we are as a parish community and do not hesitate to contact us directly if you have any unanswered questions. If you join us for one Mass, several Masses, or become a member of our parish family, we hope that for you, Our Lady of Grace is a place to grow in the love and knowledge of Jesus Christ. Click here to read about one young family's experience at Our Lady of Grace.